We have four guestrooms with separate private bathrooms.Breakfast is served in a magnificant royal room, the lounge has a fireplace and the (living)kitchen is up-to-the-point. Everything is renovated with respect for the ancient elements and a slight modern touch to it. We are situated at a walking distance of 15 minutes to the city center (Market Place). NEW PACKAGE DEALS: "Charming Love & Sauna", in our private sauna in the garden, "Charming Deluxe" on weekdays with diner in Michelin 3-star restaurant ’Hertog Jan’. And "Charming Balloon": weekend in a junior suite and on top an exclusive hot air balloon flight above historic Bruges. 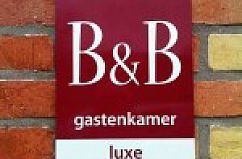 Below you will find the contact details for the owner of the residence B&B Charming Brugge.